A credit card can make shopping a snap as long as your card is accepted, but some businesses still won't let you pay with plastic. At times like these, you may be tempted to take a cash advance on your card by using it to withdraw cash at an ATM. Cash advances give you access to paper currency when you really need it, but this convenience comes at a high price. Credit cards are known for carrying high interest rates that make balances expensive to maintain and difficult to pay off. Cash advances often have interest rates that are even higher than the normal rates that apply to your card, which can make them very costly. If you don't pay off a cash advance balance quickly, you could end up owing much more than the amount you originally took out. When you make charges on a credit card, you normally have a few weeks to pay off your balances before you start getting hit with interest. With a cash advance, there is no grace period before interest starts to accrue. The credit card company starts charging interest as soon as the cash comes out of the machine. Lack of a grace period means you might end up owing interest even if you pack back the amount you borrow the next day. Even if you pay off a cash advance as quickly as you can, you might be slapped with a transaction fee just for using the ATM. Upfront fees typically run between 3 and 5 percent of the amount you withdraw, and there may be a fixed minimum fee of around $10. If you use an ATM to make a cash advance in a foreign country, you could also face a foreign exchange fee. Can I Load Up Money on a Prepaid Cash Card With a Credit Card? 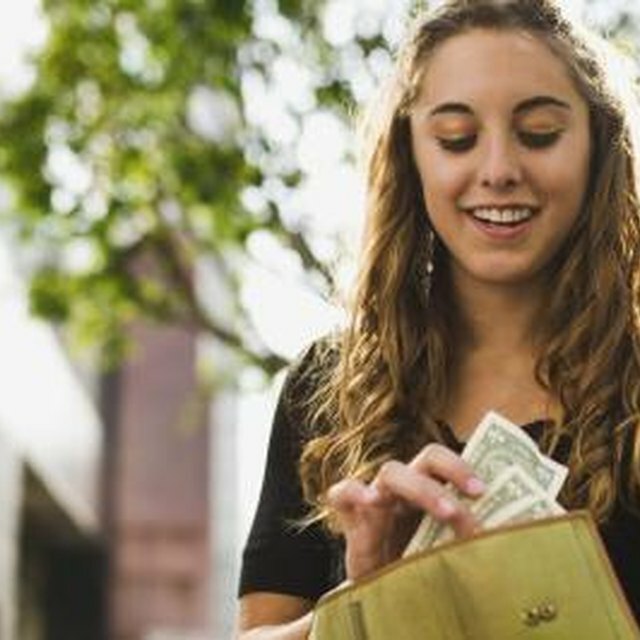 It is safest to use cash advances as a last resort to access cash in a pinch, when you know you have the means to pay it back within a few days. Taking a cash advance when you don't actually have the money to pay it off is especially dangerous, because you could end up paying a lot of interest before you can come up with the funds you need.